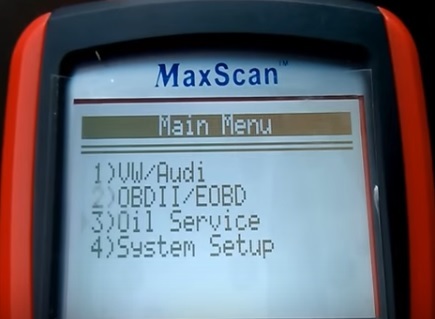 Finding the right OBD II scan tool to work on a Volkswagen Passat is easy enough, some with more features than others. One of the things that VW Passat’s have unique is VAG-COM VCDS which goes beyond industry standard OBDII codes. All vehicles 1996 and newer have an OBDII port which started with OBD version 1, 1.5, and 2 depending how new they are. OBDII has a set but limited number of codes it gives out. OBDII is a very useful tool when diagnosing a vehicle but VAG-COM goes much more in-depth and are specific to Volkswagen. With VAG-Com instead of some generic code that point in a general direction much more detailed information is given for Volkswagen’s narrowing the problem down more specifically. Below is a list of some of our favorite scan tools for the Passat that come with VAG-COM features. Be sure to read the reviews on on Amazon, forums, or elsewhere to be sure it is a good fit for you. The ANCEL VD500 is a low-cost stand-alone scan tool for Volkswagen’s. For a budget unit it has many good features such as EPB, ABS, SRS, Oil Throttle Position, Adaption Brake Pad Reset, and much more. It also is compatible with many VW models including Golf, Jetta, Passat, Audi and more. The ANCEL VD500 is a good unit for anyone looking for a bugdjt scan tool for a Passat that includes basic VAG-COM options. The OBDeleven PRO works well with most Volkswagen’s VAG group cars, including the Passat B5. 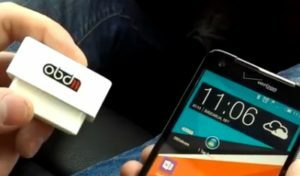 It is a Bluetooth Dongle that will Pair with an android smartphone to give codes with an app. The app does require more money to unlock some features. The Xtool Vag401 is a stand-alone scan tool that doesn’t require a laptop or smartphone. It works well for the Passat and scanning codes, as well as clearing them, even ABS codes. The manual is a bit lacking but is a good buy for the price. 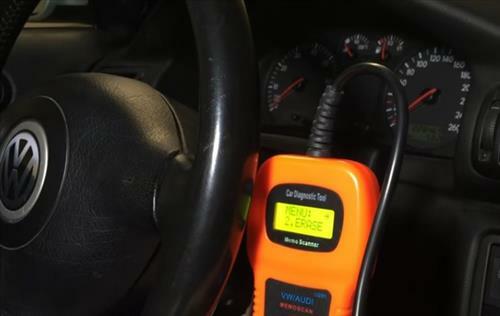 If you need a stand-alone code scanner for your Passat it is worth a look. Most anyone who has been looking for a OBDII scan tool will come across the very cheap generic OBD2 dongles. These small units pair with a smartphone and use an app to display errors. Unlike specific ones built for VW the generic ones will only give basic codes. Still they do work for basic repairs and their low-cost make them ideal for those on a budget. I have used them in a pinch and they do work just don’t expect wonders and only basic information, no VAG-COM info. Having a good scanner when working on your Passat will go a long way in troubleshooting and repairing the problem. Keep in mind any OBDII scan tool should give you general codes and VAGCOM units are made to narrow a problem better. There are many scanner tools available with those above simply some of our favorites. Do you have a good scanner that work well the VW vehicles? Let us know in the comments below. Our VW dealer charges $110.00 to do a diagnostic. With that said, If we bring the car in twice we are at $220.00. For that kind of money I would rather buy a top of the line scanner. Is there a scanner on the market that does everything the dealer scanner does or do they have a monopoly on their scanning tools. The Ross-Tech scan tool is excellent.